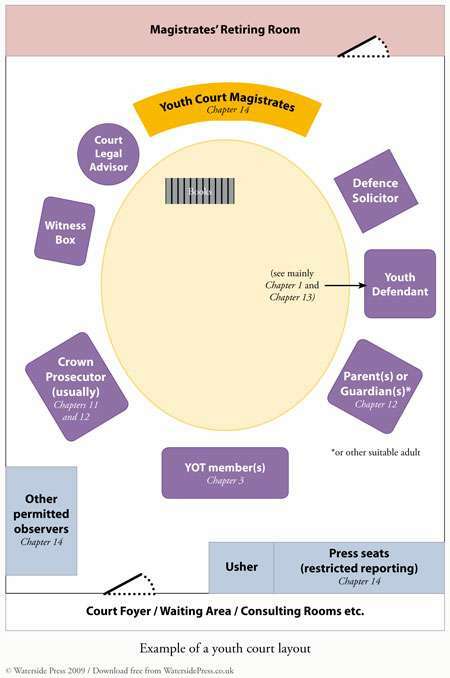 This is a simplified view of a typical youth court layout. It shows which interested parties would be present during a youth court hearing and where they might sit. 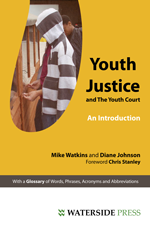 For more information on any of the roles shown here see Mike Watkins and Diane Johnson's book Youth Justice and The Youth Court from which the diagram is taken. This diagram can be freely downloaded in PDF format. Download the PDF here (To view these files you will need the free Adobe Reader available from Adobe). This diagram is taken from Youth Justice and The Youth Court (November 2009) by Mike Watkins and Diane Johnson.